Our whole Phired Up team is traveling to an important conference for college fraternity/sorority advisors this week. We’re very excited to go to the educational sessions, listen to the keynote speakers, and enjoy the festivities. But we know that if we want to deeply connect to the best people who can help us change the world, we need to go to the conference in the spirit of GIVING FIRST. At this year’s AFA Annual Meeting in St. Louis, many attendees spot Vince Fabra and Shira Tober wandering around with Polaroid cameras. It isn’t an official part of the conference, but these two Phired Uppers thought they’d create an in-the-halls Social Excellence experience for everyone. They’ll be working hard to snap pictures, engage people in Fun Zone/Deep Zone conversations, and then give them social challenges to build quick, new, fun relationships throughout the conference. We’re secretly serving as unofficial hosts! Other select attendees will receive secret Social Excellence dares designed just for the conference. Will they or won’t they take the dares? Will they or won’t they choose Social Excellence? It is up to them. About 20 specially selected AFA members will be recognized as Social Excellence Superstars at Phired Up’s exhibit booth, with their names and pictures on display — we’re trying to make our booth about the movement, not about how awesome we are (although we are awesome). Several Phired Up team members will be conducting video interviews with conference attendees about the way they’re helping organizations grow and change the world. We want to give others a platform to share their messages. We’ll be making a big donation to a charitable organization we deeply support — giant over-sized check and all! We’ll be giving attendees an opportunity to share their recommendations for chapters who should take our upcoming FREE CHAPTER RECRUITMENT DIAGNOSTICS TEST. This will be launched officially later this week! We’ll be giving free Good Guys or I Heart Recruitment books to all the graduate student attendees! We’ll be modeling Social Excellence. We’ll be introducing old friends to new friends. We’ll be asking interesting questions. We’ll be handing out prizes (copies of our new book). We’ll be building our names list of relationships and friends. We’ll be tweeting like crazy about all the amazing stuff we’re learning and people we’re meeting. All in all, we’re going to try to be as generous as possible. We’re going to reach out and try to make everyone feel welcome and connected. We’re going to choose to be the company that isn’t there to sell stuff, but is there to make the conference a little more fun, a little more personal, and a lot more social. We figure if we do that, people will like us and our business will take care of itself. This is what we teach organizations to do. So, this is what we do. Give first. Phired Up Productions is proud to award its 2011 Limitless Possibility Grant to The Circle of Sisterhood Foundation. 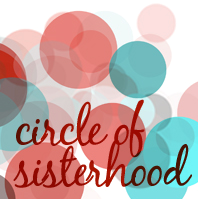 Circle of Sisterhood is a powerful exemplification of Social Excellence in action, and Phired Up is honored to make a $10,000 donation to the organization, which will be formally presented at this year’s Association of Fraternity/Sorority Advisors (AFA) Annual Meeting. Just as the new book about Social Excellence from Phired Up teaches: Handshakes lead to conversations. Conversations lead to relationships. Relationships lead to collaboration. Collaboration leads to organization. Organizations change the world. The founder of Circle of Sisterhood, Ginny Carroll, has demonstrated that progression of handshakes changing the world through her work creating Circle of Sisterhood. From the website: “Founder, Ginny Carroll was inspired to create the Circle of Sisterhood Foundation because she is a strong proponent of the sorority experience and is well aware that the sorority movement came forth out of oppression. She was also motivated by a November 2009 Oprah interview with Nicholas Kristof and Sheryl WuDunn, authors of the book Half the Sky, who shared their first-hand accounts from visits to poor countries across the globe where women are subjected to violence and oppression solely because of their gender. Ginny Carroll is an icon in the fraternity/sorority world, and is someone the Phired Up staff has looked up to for a long time. She embodies Social Excellence with her ability to connect with young students and experienced professionals alike — with her warm smile and fantastic conversation skills, with her understanding of the power of deep relationships, and with her recognition that sororities (like all organizations) can make a meaningful impact on society if they choose to focus their energies there. Ginny and the other amazing Circle of Sisterhood leaders are putting in real work (not just talk) to challenge collegiate Greek organizations to matter to the world. This is what Phired Up means when we teach Social Excellence — look to Ginny and Circle of Sisterhood as an example of how Social Excellence is done! The Limitless Possibility Grant from Phired Up is a one-time annual gift given to a cause the Phired Up’s employees choose. The first ever recipient (2010) was Kiva.org. Before I left Grand Rapids to attend graduate school at Ball State back in July, I went out with my close friend (and Phired Up guest blogger) Keith for dinner downtown. We stopped by one of our favorite restaurants and enjoyed a great dinner served by a fun waitress. We reminisced about our years going to school at GVSU, reflected on our time together as active members of Delta Sigma Phi, and looked ahead to talk about the future. As we began to walk back to the car, we heard some loud music coming from down the street. Walking toward the music was definitely out of the way from where we had parked, but for some reason we were intrigued by what could possibly be going on downtown in the middle of the week. As we turned the corner to see what was happening, we were stunned to see hundreds of people laughing, talking, and… swing dancing. Keith and I quickly made friends and asked a few people about what we were seeing. We found out that it was actually the Grand Rapids Original Swing Society. I’ll admit that I have no idea how to swing dance, yet I was absolutely amazed by what I was seeing. Hundreds of people had gathered together around a shared purpose and were having an excellent time. They were meeting new people. They were dancing with new partners. They were stepping out of their comfort zones. They were being Socially Excellent. One of Phired Up’s “Be the person” sayings is, “Be the person who says yes to everyday adventures.” So, of course, Keith and I looked for an opportunity to participate. At one fun point in the evening as we were looking on with awe as the music slowed down and the DJ began to play “Chasing Cars” by Snow Patrol. Suddenly the crowd was lying on the ground, looking up at the sky, engrossed in the lyrics and surrounded by friends both new and old. Almost everyone participated, Keith and I included. When I moved out of Grand Rapids later that weekend, I couldn’t help but think of my last night in the city I loved. I had spent countless nights at restaurants, events, comedy shows, concerts, and athletic events downtown that were planned and most times paid for. But how often did I take a moment to smell the roses, listen to my surroundings, and take a different path? Diving into this “everyday adventure” gave me a powerful memory, a fun story to tell, and deepened my friendship with Keith. This is the fun of Social Excellence. The picture is a little blurry (I have a better phone now! ), but hopefully you can tell what’s going on. This group of people barely knew each other, but had gathered around a purpose and had a blast doing it. They were demonstrating Social Excellence without even knowing it! Let’s all try to be intentional about where we go, who we meet, and how we interact with others. Let’s intentionally take a different path. Let’s learn from our swing dancing friends and be a bit more Socially Excellent. Say yes to an adventure today — you never know who you’ll meet or where it might lead.